has an extensive network throughout Australia, New Zealand, South East Asia - Singapore and Malaysia, North East Asia - Hong Kong, China and Japan. We have strong account management skills working with key stakeholders including airlines, cruise companies, rail and travel distribution providers/wholesalers. Richard is Founder and Director of Doyle Tourism Services P/L He has worked on and managed significant projects for a range of private and public clients. He has a background in government procedures and policy, as well as stakeholder engagement. He has experience in managing projects throughout SE and NE Asia. Richard is a well respected leader in the Cruise and Tourism Industry with experience in the development of international ready product tools and guidelines and workshops for operators and stakeholders. Experienced in both the domestic and international market place in small to large organisation with Richard being a representative member on a number of industry panels over the years such as The Australian Tourism Export Council (ATEC), Tourism Australia Industry Advisory Panels and State and Territory Organisation representative on cross government committees. Prior to commencing his own consulting business, Richard spent 12 years with Tourism NT as Director Asia/Japan, Cruise and Aviation. Prior to this he worked for The APT Group, (Australia’s leading tour operator) for 20 years. This experience has enabled Richard to form an extensive network throughout Australia, New Zealand, South East Asia – Singapore and Malaysia, North East Asia – Hong Kong, China and Japan developing strong strategic account management skills and working with key stakeholders including airlines, cruise companies, rail and travel distribution providers/wholesalers. From 2002 to 2010 Richard was Chair of Cruise Down Under and is still an active board member. 'I have had the pleasure of working with Richard over the past ten years in a number of roles – as a State/Territory colleague on the Destination Australia Marketing Alliance, as a member of the management committee of Cruise Down Under with Richard as Chair and more recently Richard was engaged by Tourism Tasmania to provide a Cruise Tourism Assessment. At all times I have found Richard to be extremely professional, committed and extremely knowledgeable and experienced across a wide range of tourism issues. Richard is skilful in working with many stakeholders across a variety of organisations and has excellent knowledge of issues and challenges facing tourism destinations’. An accomplished tourism business builder who is self-motivated and target driven with over 23 years experience in all sectors of the tourism industry – namely wholesale, inbound, retail, hospitality, conference and incentives and destination marketing. Having worked in all components of the distribution chain and in direct consumer marketing has broad experience, great industry insight and a well-established network. 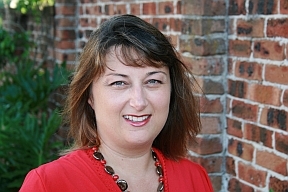 Nicole has also specialised expertise in niche markets such as Indigenous Tourism and targeting the youth traveller. These attributes ensure that Nicole’s clients stay at the forefront of the competitive destination-marketing world. Highly proficient in sales and marketing, creative sales focused writing, negotiation, operations, product development, project management, event management, people management, training and coaching - all at a management level. Experienced in both the domestic and international market place in small to large organisations, including government such as Qantas, Tourism NT, Hilton Hotels and Thomas Cook. Nicole’s has a strong client base including Tourism Australia, Tourism NT, The APT Group, Topdeck Tours, The Australian Tourism Export Council and Avanti Events. Nicole has been a representative member on a number of industry panels over the years such as The Australian Tourism Export Council, and the Backpacker Tourism Advisory Panel. Nicole has a strong professional focus, is results and challenge driven and is consistently credited with being extremely well organised and efficient. Nicole is credited with being personable, creative, adaptable and communicative and hold extensive first-hand destination knowledge. She is a ‘completer’, getting projects done efficiently and effectively within budget. “Nicole has always delivered outstanding results within very tight deadlines and budgets. Her attention to detail, professionalism and commitment are a major contributor to the success of the events and projects she is contracted to deliver. She has demonstrated strong capabilities across a broad range of tasks, and has the capacity, knowledge and experience to deliver at a consistently high level. She works well as part of the extended Tourism Australia team and she constantly demonstrates creativity and innovation in her approach. She has strong negotiation skills, exemplary budgeting skills and is a great communicator. Nicole is a proven performer and a valuable part of our high achieving team of contractors. I would not hesitate to recommend her services to others in the tourism sector”. 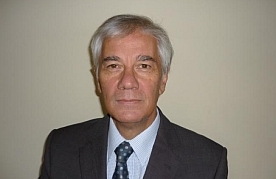 Simon is the Chief Executive Officer and Senior Consultant with AECgroup. Since 1995 Simon has undertaken hundreds of consultancy projects across Australia. Prior to becoming a consultant Simon was employed for five years at the Queensland Treasury. Simon has wide-ranging experience in project management, quality assurance, regional economic development, local government, economic and financial modelling and market research. He has worked on significant projects for a range of clients spanning all levels of government and the private sector. Simon has also coordinated a number of AECgroup’s nationally significant research projects. Since 2003, Simon has been involved with quantifying the economic impact of cruise shippings to the national, state and regional economies. More recently Simon has been working with Doyle Tourism Services to determine the future demand for the adventure cruising and mega cruise sectors of the industry for the Queensland Government and Newcastle Port Cruise Assessment. Robert Hardless has been associated with Richard Doyle for more than 15 years, based in London he has had considerable experience in destination marketing, aviation including commercial management, start up’s and IPO’s as well as project management and representation. With an enviable network of contacts in the UK and throughout Europe, he has been chosen as held the representation contract for Tourism NT (previously NTTC) since 1991 and in that time has also held the representation in UK and Europe for South Australian Tourism Commission. He is currently engaged to look after the interests of Trans India Holidays, a Delhi based DMC, in the UK who provide private touring for major UK retailers including Trailfinders, STA and Bridge the World. He also is the UK and European representative for Marine Tourism Holdings which operates South Sea Cruises and Awesome Adventures in Fiji and Cruise Whitsundays in Queensland. Robert is a partner in the Great NZ Adventure Company which operates small group touring in New Zealand. As well as representation work, he undertakes project work and prepared an aviation strategy document for the Emirate of Sharjah, and undertook the management of the selection process for the Macau Government Tourist Office representatives in the UK and France. He is currently evaluating an aviation start up project in the Indian sub continent and is currently working with a UAE based airline to develop an outbound tourism strategy for regional tourism organisations in India. “Nothing less than my mentor during my formative years in the travel industry, Robert Hardless defines the word connected. He has a breadth of experience through destination, airline and ground product marketing and representation that is unrivalled. 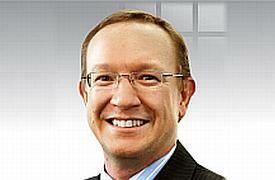 Dr. Mathew McDougall is recognized worldwide as a leading expert in Interactive Marketing and online analytics. 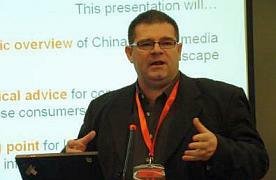 Dr. McDougall founded the SinoTech Group of companies in Beijing in 2007. Dr. McDougall holds a Masters degree from Westminster University, London and a PhD from Queensland University of Technology, Brisbane. Dr McDougall has 20 years experience in Internet technology and digital marketing, managing of large teams of highly motivated and skilled individuals across multiple countries (Australia, UK, US, China, APAC). Using this extensive knowledge combined with analytical skill to build accountability solutions, his consulting and strategic activities are focused on effective performance driven campaigns across all online media channels. He is a renowned expert on these topics, recognized for his published articles, his frequent speaking engagements, as well as his prestigious consulting and teaching programs. Dr McDougall thrives in entrepreneurial environments, where fast-paced change and continually evolving technology is the norm. 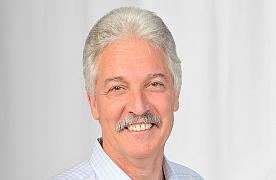 Having founded SinoTech Group (headquartered in Beijing, China) in 2007, Dr McDougall drives the company’s vision and is responsible for building the company’s brand with strategic marketing initiatives and client acquisition utilizing his skills in high level and complex multi party client negotiations. He also oversees SinoTech Group’s high-profile clients’ marketing campaigns to ensure they are balanced with strategy, best practices and results.